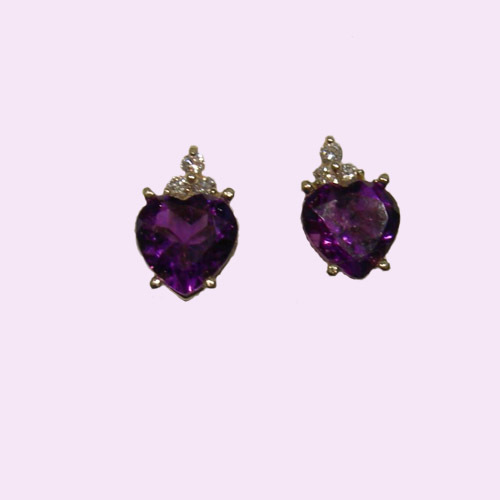 Desc: 14 karat yellow gold heart shaped amethyst and diamond earrings. The heart shaped amethyst are mounted by four prongs each in gold wire baskets. There are three diamonds mounted above each amethyst.